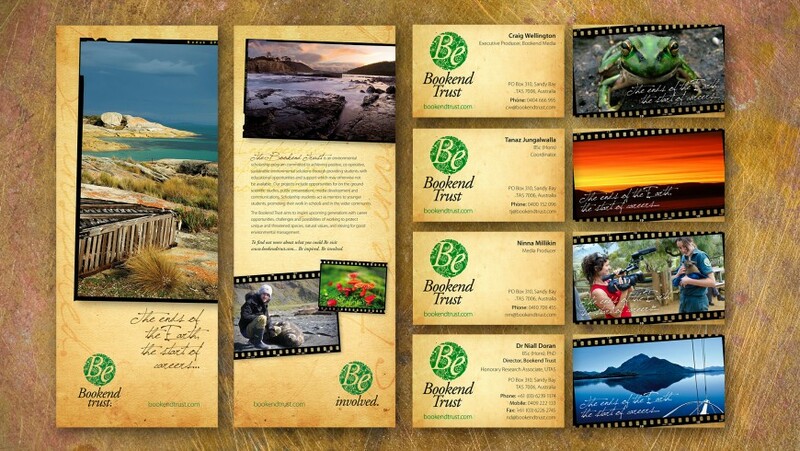 Corporate Identity for the environmental group the Bookend Trust. The client wanted a logo which would illustrate the complexity of interconnecting efforts which as a whole results in positive environmental progress. Photography is used as a tool to engage readily with the natural world and to emphasise the importance of these precious resources.